The Gaurs are flying high in the table whereas the Blasters are plauged by inconsistency this season. 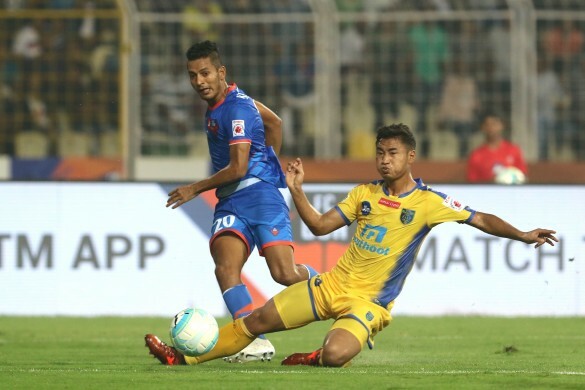 Kerala Blasters host FC Goa in their next Indian Super League clash at Jawaharlal Nehru Stadium in Kochi, as the hosts look to bounce back from their Southern Derby defeat at the hands of arch-nemesis Bengaluru FC. Meanwhile, the visitors sit comfortably at the top of the table and will be looking to keep their momentum intact. Ahead of the match, Kerala Blasters assistant coach Thangboi Singto and FC Goa head coach Sergio Lobera spoke to the media. Indian International defender, Anas Edathodika has not started for Kerala Blasters this season and when asked about that the coach said, "The team has plans and definitely, Anas has started for the national team. A few games, he could not start, the reason you know well. We don't want to look back at what happened. It is a new beginning tomorrow. The national team knows the importance of Anas." The coach asserted that they will be aiming for a victory against FC Goa. He said, "We have all the players with us now. I think with regards to the approach for the coming games, it doesn't change much because every team comes into matches with a belief that they would win. The only thing we hope for is we start winning." FC Goa may have stunned everyone with their attacking brand of football, but Singto says they have conceded too many goals. "With due respect to Goa, they are an attacking team, but if you see records, they do concede goals also. We are not really much concerned about other teams, we have to look at ourselves. We as a team definitely start winning from tomorrow. Every team is under pressure. A lot of matches has gone, but if you look at the table, I think, with a few wins, things will change." The tactician claimed that the Blasters have been creating chances, but what has not come are goals. He said, "Every team must play their best squad. The plan is always what we see in the training, expecting that the defence, the midfielders, the strikers will do the job for us. We have two good strikers and they have shown the potential. Hopefully, they will score more goals. We are creating chances. Scoring goals is not easy, but we keep trying to score goals." 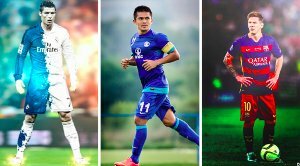 Singto also said that FC Goa have many talented players apart from star striker Ferran Corominas. "It is not just about Coro, they have Edu Bedia, (Hugo) Boumous, who are equally talented. We need to focus on FC Goa as a team and we Kerala Blasters, go there and play as a team. I want to get the result right for us, not individually, but as a team." "Corominas has contributed to more than half of the goals Goa have scored. 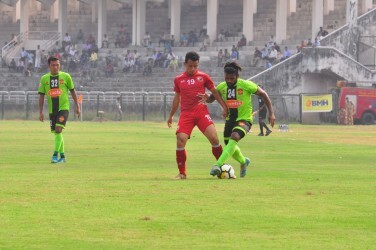 When asked if the Gaurs are over-dependent on the Spanish forward the coach said, "Coro is a very important player for us. But, I also think we do not entirely depend on Coro. Last game we won 3-2 and Coro didn't score. But, keeping in my mind, Coro is an important player and we will help him score goals." 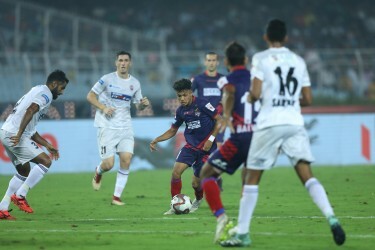 Goa's defence has been their Achilles heel this season. They have conceded 11 goals and when asked if it was a point of concern the coach said, "I respect the opinion of Kerala coach. let us see who scores more goals tomorrow." "Football is all about balancing defence and attack. We play an attacking brand of football and it has some obvious risks. But, that's what makes us strong," the coach added. "Tomorrow, we make the one last effort before we go to the international break, which will allow us to get some free time. What I said is my team will come and do what they exactly need to be doing. I consider Kerala as direct rivals. A win help us get 9 points clear off them." the coach said. Kerala Blasters will likely field their strongest possible XI tomorrow. Anas Edathodika is likely to make the cut into the starting XI, whereas CK Vineeth is expected to be dropped to the bench. The coach confirmed that they have no injury concerns going into this match and asserted that they will be going to get three points from this game. Kerala Blasters: Naveen, Jhingan, Lakic-Pesic, Edathodika, Kali, Krcmarevic, Sahal, Prasanth, Slavisa, Doungel, Poplatnik. 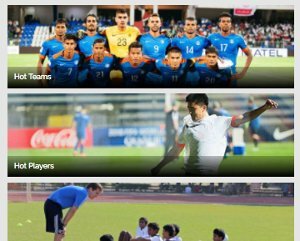 FC Goa: Nawaz, Seriton, Fall, Ali, Rao Dessai, Lenny, Jahouh, Boumous, Bedia, Jackichand, Corominas. Kerala Blasters FC vs FC Goa in the Hero ISL has never ended in a draw. FC Goa have scored nine goals in each half so far this season. Kerala Blasters FC have lost out on five points this season due to goals conceded after the 80th minute. The match will take place on Sunday at 7:30 PM at the Salt Lake Stadium in Kolkata. On television, the match will be live on Star Sports Network. Meanwhile, it will also be streamed on Hotstar and Jio TV.